If you’re like me, you’ve probably ended up with a drained phone more than once while on the go. I’m not kidding; right now, my phone is at 3%, and it’s not even 9am. 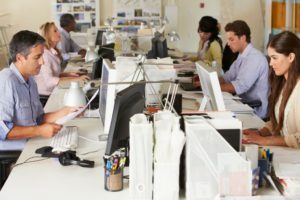 As someone who needs their smartphone for work, you’d think I would be more responsible with my battery life! Personally, I’m not a fan of power banks –bulky, ugly things that they are. Instead, I’d rather charge my phone while driving. My house is a half-hour drive away from the city (more with traffic), so plugging in my phone during my morning commute is my only chance of not looking like a forgetful teen who forgot to plug in their phone during the night. Recently, I’ve started relying on my car charger more often, and when Qi wireless car chargers hit the market, you know I was one of the early adopters. I’m not going to lie, it was expensive at first, but the more I looked around, the more I found Qi wireless car chargers that were under $50. Perfect, considering that’s my budget for most smartphone accessories anyway. Wireless phone chargers are an essential part of my driving experience because of its convenience. I can’t be the only one out there who forgets (on a regular basis) to charge their phone the night before, so if you’re like me, you’ll want to check out this list of some of the best Qi wireless car chargers under $50. The DOCA Qi Wireless Car Charger has a lot of the things I like: a sleek design, minimalist aesthetics, fast charging, and provides a hands-free charging experience. 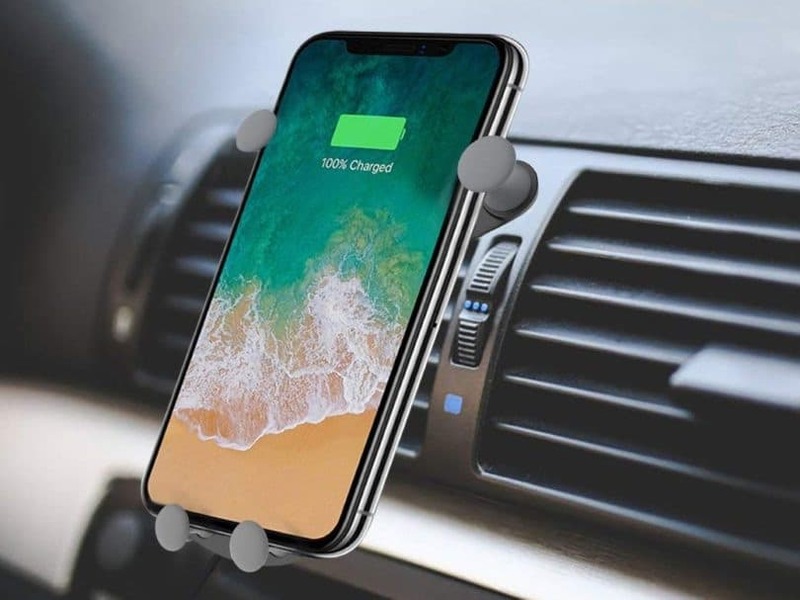 It has a fairly simple setup: the mount can be placed either on the air vent or the dashboard, and the base has indicator LEDs on the side to let you know when the phone is charging and a magnet that helps your phone stick to the charger better. 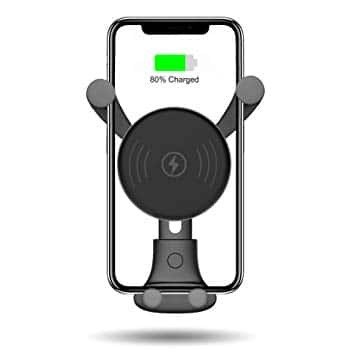 The base is connected to the mount on a swivel ball that helps it turn 360 degrees, so you can adjust and view your phone in any angle. The mounts come with soft silicone gel to protect your vents from damage. 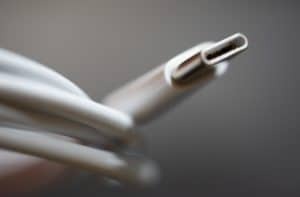 Because it keeps your phone in place using magnets, you don’t have to deal with those awkward spring frames that other chargers have. 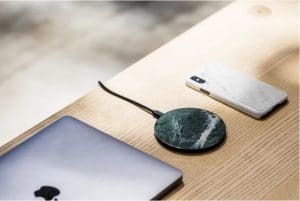 However, some users have mentioned that their phones fell off pretty quickly, and the Qi wireless charging might not work if your phone has a case. The DOCA Qi Wireless Car Charger comes with a 1-year warranty. It’s wireless fast-charging on a minimally-designed charger. What more you could you want? Besthing’s wireless car charger is fast, and I mean fast: on average, it charges about 10% faster than normal car chargers, and it does this with a decent 10W output (most other car chargers plateau at 5W). This is crucial for people like me who rely on charging my phone in the car while I’m driving to and from meetings. The base has a slide slip that helps you prop up your phone seamlessly, with 2 clamps that hold it in place. It mounts onto your air vent, so you won’t have to worry about putting anything on your dashboard and it comes with multiple electric protections to make sure it runs smoothly and without issue. One problem though: it only works with a select number of slim phones. So far, I’ve had no trouble mounting a Galaxy S9 and an iPhone XS, but other phones that don’t share the same measurements might not be able to stay on the charger. Of all the wireless car chargers on this list, the iOttie Easy One Touch is probably the most stable of them all. 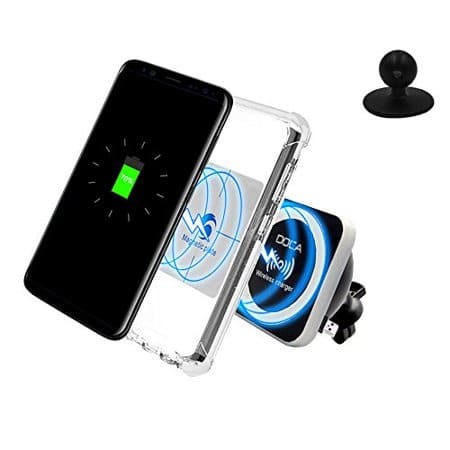 It has a spring-loaded, one click lock-and-release feature that helps it have a strong, steady clamp on your phone that lessens movement from car vibrations. It has a swivel ball that allows for 360-degree rotation and features fast charging as well. 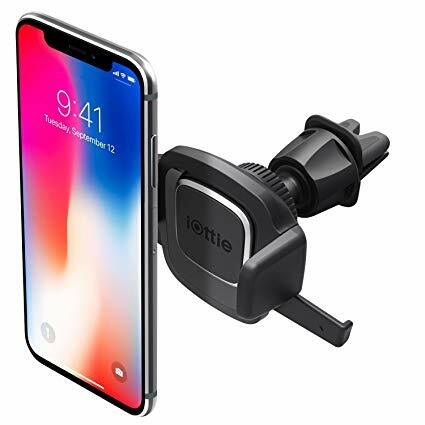 As its name suggests, it mounts onto your air vent and nowhere else, so if you’re used to having your smartphone being mounted on the dashboard, this might be a big change. A couple of downsides: it doesn’t hold larger devices like the Note 8 very well, and there’s a noticeable sag from time to time.